Men’s and women’s fencing each picked up three wins on Friday at the Columbia Invitational. 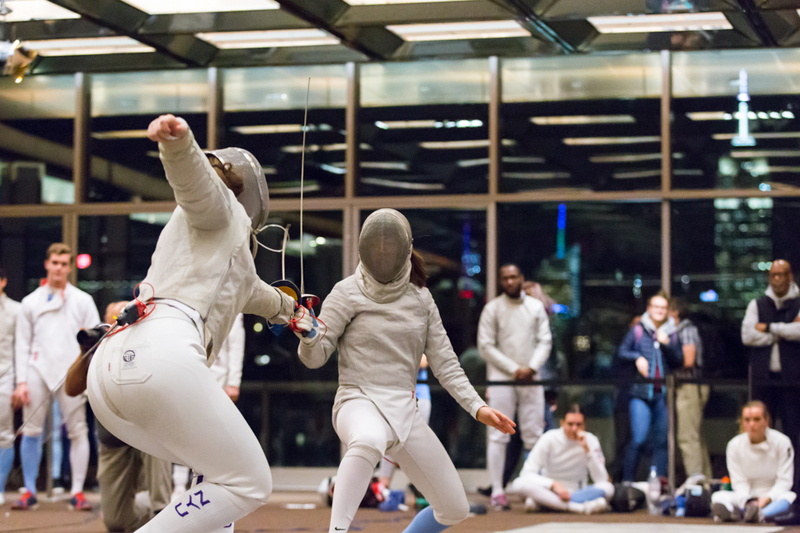 Fencing picked up three victories on Friday evening, defeating NJIT, Stevens, and Johns Hopkins in the annual Columbia Invitational. The Lions (4-0) entered the meet knowing they would be down a few fencers, as the men’s épée squad had sent two of its key members to a Junior World Cup in Riga, Latvia. But Columbia is no stranger to losing fencers to international competition. Columbia relied largely on its depth on Friday, calling upon first-years and sophomores to compete in place of veterans. The men’s squad tallied 15-12, 16-11, and 19-10 wins against NJIT, Stevens, and Johns Hopkins, respectively. Aufrichtig noted that the team anticipated that NJIT and the Stevens men’s épée squad would be its most formidable competitors at the meet. Though they were missing key fencers, the Lions made up for the losses in men’s épée with particularly strong sabre and foil performances. First-year sabre Josef Cohen went undefeated in all six of his bouts. Aufrichtig noted that the Lions’ strong performances often came from fighting back and adjusting to their opponents’ styles. The women, also picking up three victories on Friday, were even more successful than the men. The team dropped just one bout to NJIT, winning 26-1, and recorded 20-7 and 23-4 wins over Stevens and Johns Hopkins, respectively. Women’s foil went 17-1 on Friday, with senior foil and last year’s NCAA women’s foil champion Iman Blow dropping a single bout to NJIT. Sophomore Sylvie Binder and junior Ester Schreiber went undefeated. While fencing won’t compete as a team again until Jan. 13 at the Penn State Invitational, Aufrichtig notes that the competition season never truly stops.